Josh Wills is Cloudera’s Senior Director of Data Science, working with customers and engineers to develop Hadoop-based solutions across a wide-range of industries. 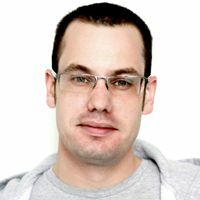 Prior to joining Cloudera, Josh worked at Google, where he worked on the ad auction system and then led the development of the analytics infrastructure used in Google+. He earned his Bachelor’s degree in Mathematics from Duke University and his Master’s in Operations Research from The University of Texas at Austin.